Criteria API is very useful for dynamically building queries, but that’s the only use case where I’d use it. Whenever you have a UI with N filters that may arrive in any M combinations, it makes sense to have an API to construct queries dynamically, since concatenating strings is always a path I’m running away from. The question is, are you aware of the SQL queries your Criteria API generates behind the scenes? I’ve been reviewing many such queries lately, and I’ve been struck by how easy it is to get it wrong. So we have a Product with a ToOne association to a WareHouseProductInfo and a ToMany association to an Image entity. I was expecting an INNER JOIN, and I got a CROSS JOIN instead. The Cartesian Product is very inefficient, and that’s what you get if you forget to properly join the associations you’re interested in filtering with on your where clauses. So, writing Criteria API is not a walk in the park after all. I’ve always found the JPQL more descriptive than Criteria API, but there are projects where the Criteria API is the default JPA querying mechanism, so it’s not only employed for dynamic filters queries but even for the ones with fixed where clauses. Well, you can eventually achieve the same results, but while I can predict the SQL query out of a JPQL one, when it comes to Criteria API I am completely clueless. Whenever I review a Criteria query, I always have to run an Integration Test to check the outputted SQL, for small changes can really make big differences. Even if Criteria API usage is imposed, you can still work around it, considering you are extra careful and you review all your queries. While some use-cases call for a SQL sub-query, here it’s just completely unnecessary, and it only slows your query down. But this time we were actually requiring a dynamic filtering query, so JPQL was out of the question. The only way to fix it was to write the proper Criteria query. I’d reasoned on why the developer would have chosen the sub-query in this particular context, and I believed it was because he hadn’t known that he could project a different entity than the Root one, in a similar fashion with a JPQL query. The first case I showed you is one of the very first mistakes I did while trying to learn the Criteria API. I discovered that I have to be extra cautious when writing such queries since you can easily get unexpected SQL queries. If you’ve chosen to use Criteria API for all your queries, then you might be interested in checking JOOQ too. Even if you choose JPQL, whenever you want to build advanced dynamic filtered queries, JOOQ can better help you with that. You will still be using a fluent API, you won’t write any String, and you will get more SQL features than what Hibernate currently offers. 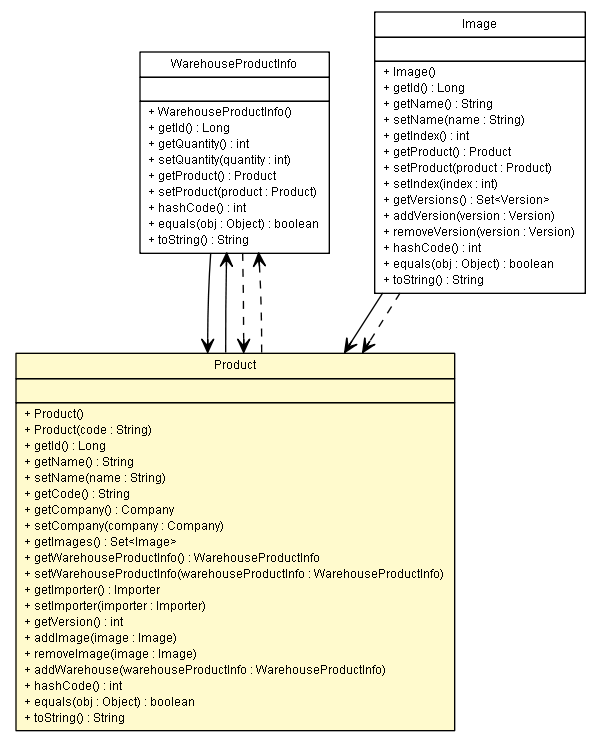 So, whenever your use cases don’t require querying for managed Entities, you can use JOOQ instead. I like it because I can predict the generated SQL much better than with Criteria API, and when an API is easier to use, there are less “surprises” waiting to “wow” you. Great article as usual :). I have one question, why is a cross join with a where clause is a bad thing .? Based on my readings , it acts just like an inner join and it have the same perfirmance. I v even executed a cross join with a where clause and inner join on my sql server 2014 and the execution plan was identical (same thing for the subselecte). Thanks for answering soon because i v already have a cross join on my productin environnement and i didn t fixed it based on what i v said earlier. It’s equivalent in terms of database execution plan. However, it might not hit the cache if you uses inner join in other JPQL queries. By cach, you mean query cache ( 2LC) or the 1LC . Neither. I meant the DB plan cache.